In June 1938, Superman, created by Jerry Siegel and Joe Shuster made his debut in Action Comics #1. What followed was an explosion of colorful, costumed "Mystery Men". In October 1939, Jim Hammond, The Human Torch - the original, "Golden-Age" Human Torch - not to be confused with the Fantastic Four's Johnny Storm, created by Carl Burgos, made his debut in Marvel Comics #1. The same issue that featured the debut of Bill Everett's Namor, the Sub-Mariner. In March of 1941, Joe Simon and Jack Kirby's Captain America debuted in Captain America Comics #1. The legendary Bill Finger, who worked with artist Bob Kane and Jerry Robinson on Batman, brought these three heroes together to fight the Axis during World War II as part of The All-Winners Squad in 1946. Roy Thomas later brought The Invaders together in the pages of The Avengers in 1969. They later graduated to their own title in August 1975 and ran for 41 issues until September of 1979. Afterward, Thomas moved from Marvel to DC to write the World War II exploits of DC's Golden-Age pantheon of heroes dubbed the All-Star Squadron, or Super Squad. The Invaders have had a number of revivals. Most notably a 2008 twelve-issue crossover with The Avengers that brought the war-time heroes forward in time, and a 2010 Invaders Now! reunion. The Invaders return again in a new ongoing series by Eisner Award winning writer James Robinson. Robinson is known for his Golden Age inclination. 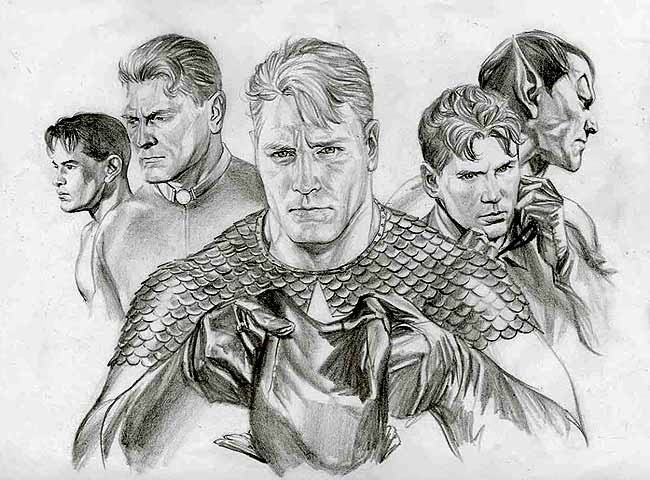 He wrote the four issue mini-series, The Golden Age, focusing on the wartime period through the 1950's for DC; followed by Starman, which featured several Tales of Times Past stories, as well as fleshing out a rich and full history for his Jack Knight Starman. Starman led to a run on Justice Society of America and finally Earth-2. There will probably be a lot of comparisons between Robinson's Earth-2 and All-New Invaders. Both feature updates of Classic, Golden-Age concepts and characters for a new generation. Notably, Robinson was part of re-imagining Green Lantern Alan Scott as homosexual. 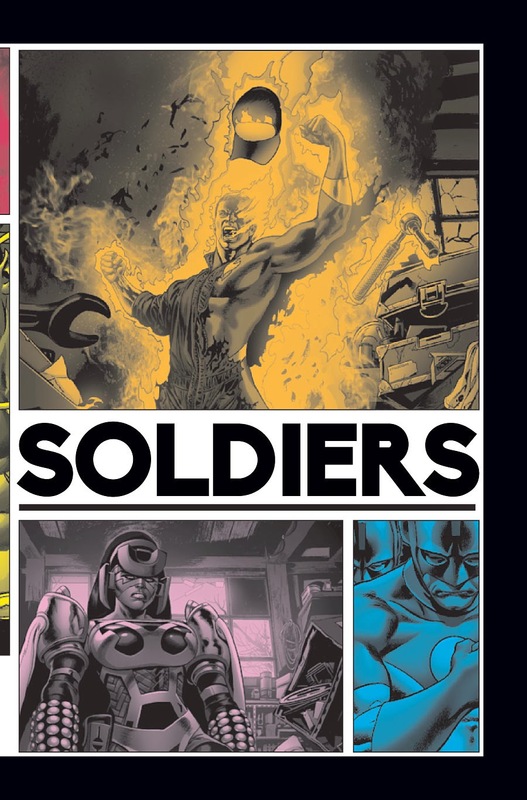 At rival Marvel Comics, Robinson brings Jim Hammond, Namor, Steve Rogers and Bucky Barnes into a new century. Time has not been kind to The Invaders. Namor, The Sub-Mariner, has been more or less the original anti-hero, in the sense that he has been antagonistic toward "surface-dwellers". For a time, he was actively a super-villain; adversary to the Fantastic Four and The Avengers. More at home with Magneto and Doctor Doom than Captain America and The Human Torch. Jim Hammond suffered pretty much the same fate. As a synthetic android, he was reanimated to fight the Fantastic Four by the villain the Mad Thinker; and later by Ultron as The Vision to fight The Avengers. Captain America's sidekick, Bucky was one of the three Classic Marvel deaths. "With great power comes great responsibility", Ben Parker told his nephew Peter, before he was fatally shot by a robber Peter had encountered earlier as Spider-Man. Thinking a single, loner Spider-Man was better than one with a girlfriend, Gwen Stacy was murdered by the Green Goblin. Bucky died in an explosion toward the end of World War II. It was the same explosion that caused Captain America to be frozen in ice. Steve Rogers was later found by The Avengers. He mourned Bucky for many years. Until, it was revealed that Bucky was found by the Russians and trained to become the Winter Soldier. 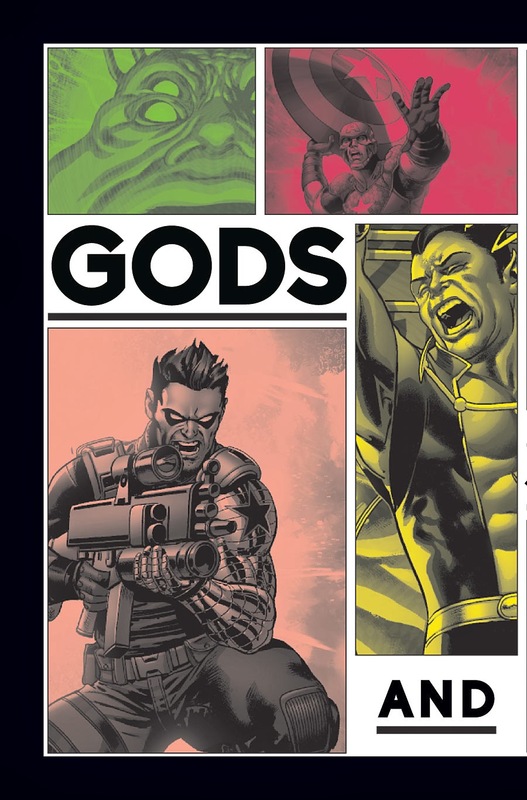 Robinson and artist Steve Pugh bring The Invaders back together to face larger, more intergalactic threat in the first chapter, "Gods And Soldiers". The Kree race are looking for something The Invaders came across during World War II. A villain called Tanalth tracks down Jim Hammond to probe his memory for information on finding it. The story opens with the prologue of three Kree warriors finding a part hidden in the African desert by Namor. Next, we see Jim Hammond working as a mechanic at a gas station in Blaketon, Illinois. His boss, Roger, tells him to take a lunch break and get something to eat at the diner. Roger tells him to have a burger, but all Jim has is a few bites off a slice of pie and a few sips of a cup of coffee. He is away from the gas station long enough to establish that he's been in Blaketon about six months and that he is well-liked in town. He gets back to the gas station in time to find his boss murdered by Tanalth. This is when the town of Blaketon discovers that Jim Hammond is really The Human Torch. Tanalth opens up a forgotten memory for Hammond of The War. It's a vivid memory that he relives, where he, Namor, Bucky and Major Liberty encounter Hela. Captain America and Hammond's sidekick Toro are noticeably absent from the encounter. It is this memory that helps Tanalth learn where to find what she is looking for. Just as she is about to deliver a death blow to Hammond, Captain America and Winter Solider intervene. 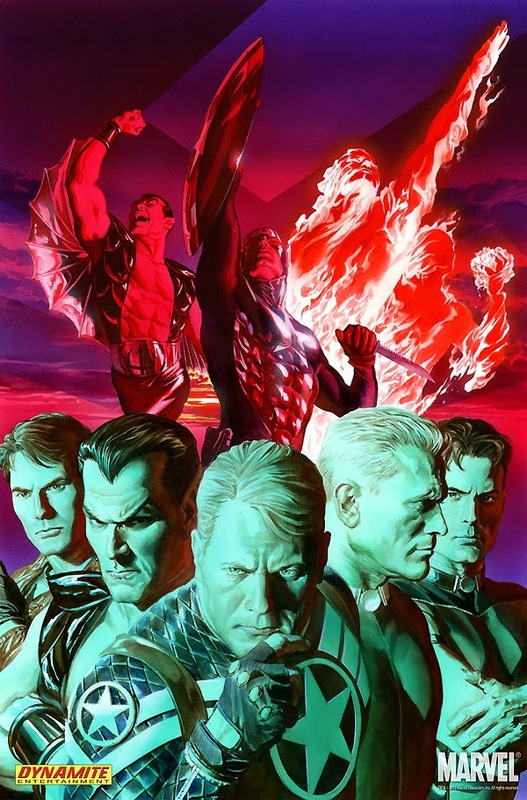 Hammond, Rogers and Barnes will soon discover that Namor is a prisoner on the Kree home-world. Robinson is an incredibly talented story-teller as evidenced in his work on WildC.A.T.s,e Leave It To Chance and Starman. He's only had a few misfires, such as the controversial Justice League: Cry For Justice storyline; his short run on Justice League, which featured a number of former Teen Titans; and his equally short run on Earth-2. His New Krypton Superman storyline may just have been ill-timed. The Superman Grounded storyline by J. Michael Straczynski that followed was widely derided. It seems nearly impossible to make Superman relevant and cool in this modern age. Readers don't need any history or background to read All-New Invaders #1, although it is great to catch up again with old friends. Some comics rely heavily on a comics knowledge. 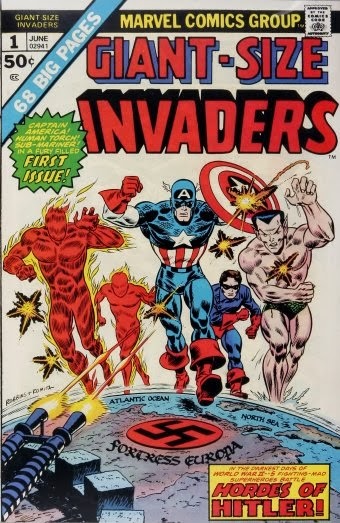 Picking up The Invaders for the first time, Jim Hammond is revealed as The Human Torch and part of a World War II era super-hero team. There is a front-page breakdown of just who The Invaders are and where they've been. It is interesting that they are described as a "band of brothers". James Robinson and Marvel certainly are striking while the iron is hot: Captain America: The First Avenger was part of the excitement leading up to the blockbuster The Avengers film. Captain America: The Winter Soldier featuring the legendary Robert Redford, as well as Black Widow an The Falcon looks to be another smash ahead of The Avengers 2: Age of Ultron. 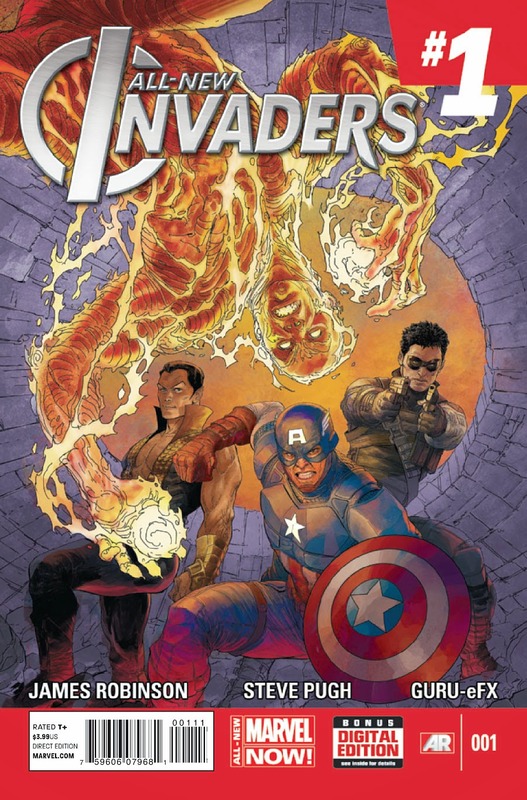 All-New Invaders looks like a re-purposing of a classic concept. This could be what he intended for DC's The New 52 Earth-2.